The femur and lateral meniscus move over the tibia during rotation, while the femur rolls and glides over both menisci during extension-flexion. Thus the flexion-extension movement occurs in the compartment above the menisci whereas the rotator movement occurs below the menisci. The total range of motion is dependent on several parameters such as soft-tissue restraints, active insufficiency, and hamstring tightness. The transverse axis around which these movements take place is not fixed. During extension, the axis moves forwards and upwards, and in the reverse direction during flexion. The distance between the center and the articular surfaces of the femur changes dynamically with the decreasing curvature of the femoral condyles. These movements are invariably accompanied by rotations (conjunct rotation). Medial rotation of the femur occurs during the last 30 degrees of extension and lateral rotation of the femur occurs during the initial stages of flexion when the foot is on the ground. When the foot is off the ground, the tibia rotates instead of the femur, in the opposite direction. Rotatory Movements at the knee are of a small range. Rotations take place around a vertical axis, and are permitted in the lower compartment of the joint, below the menisci. Rotatory movements may be combined with flexion and extension (conjunct rotations) or may occur independently in a partially flexed knee (adjunct rotation). The conjunct rotations are of value in locking and unlocking of the knee. Passive movements can be performed in a partially flexed knee. There is a lack of conformity between bony surfaces that allows translating movements in three planes. Locking is a mechanism that allows the knee to remain in the position of full extension without much muscular effort. Locking occurs as a result of medial rotation of the femur during the last stage of extension. As compared to the medial femoral condyle, the articular surface of the smaller lateral femoral condyle is a rounder and flattens more rapidly anteriorly. As a result when the lateral condylar articular surface if fully used up by extension, part of the medial condylar surface remains unused. Lateral condyle of the femur attains a congruent relationship with its opposed tibial meniscal surface, about 30° before full extension has been obtained. To achieve full extension, the lagging medial compartment must medially rotate about a fixed vertical axis while moving backwards in an arc. The lateral condylar servers as an axis around which the medial condyle rotates backwards [medial rotation of the femur] so that the remaining part of the medial condylar surface is also taken up. This locks the knee joint. Locking is aided by the oblique pull of ligaments during the last stages of extension. When the knee is locked, it is completely rigid and all ligament of the joint are taut. Locking is produced by the continued action of the same muscles that produce extension i.e., the quadricps muscle. The locked knee joint can be flexed only after it unlocked by a reversal of the medial rotation i.e., by lateral rotation of the femur. Unlocking is brought about by the action of the popliteus muscle and meniscal attachments. It pulls downwards and posterior on its attachment to the lateral condyle of the and via its meniscal attachment the popliteus pulls on the posterior horn of the lateral meniscus. Thus, while rolling back, the posterior motion of the menisci occurs in both compartments, but lateral more than medial. This example considers foot fixed to the ground as in walking. 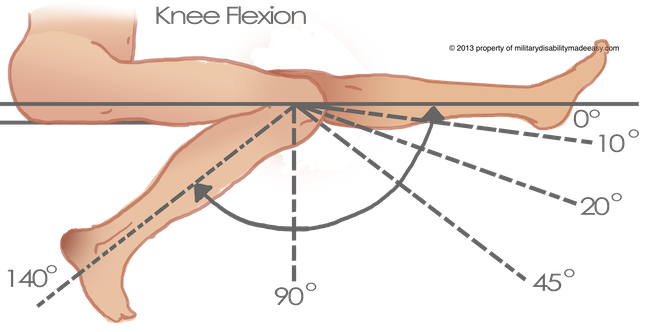 When the foot is fixed to the ground, the last 30° of extension is associated with medial rotation of the femur as explained above. Moreover, there is also passive or active tension in the hamstrings, gastrocnemius muscles and the iliotibial band. Also, the anterior parts of the menisci compress between the femoral condyles and the tibia. At the beginning of flexion, the knee unlocks by an external rotation of the femur on the tibia brought about by the opposite interplay of the meniscal articular and ligamentous structures and the contraction of the popliteus muscles. Flexion is checked by the quadriceps mechanism, the anterior parts of the capsule and the PCL and by the compression of the soft tissue structures in the popliteal fossa. You would get a visual idea by watching the knee movements.